Twice as bright as a conventional Xenon Halogen instrument. All of the features of the mini3000 F.O. 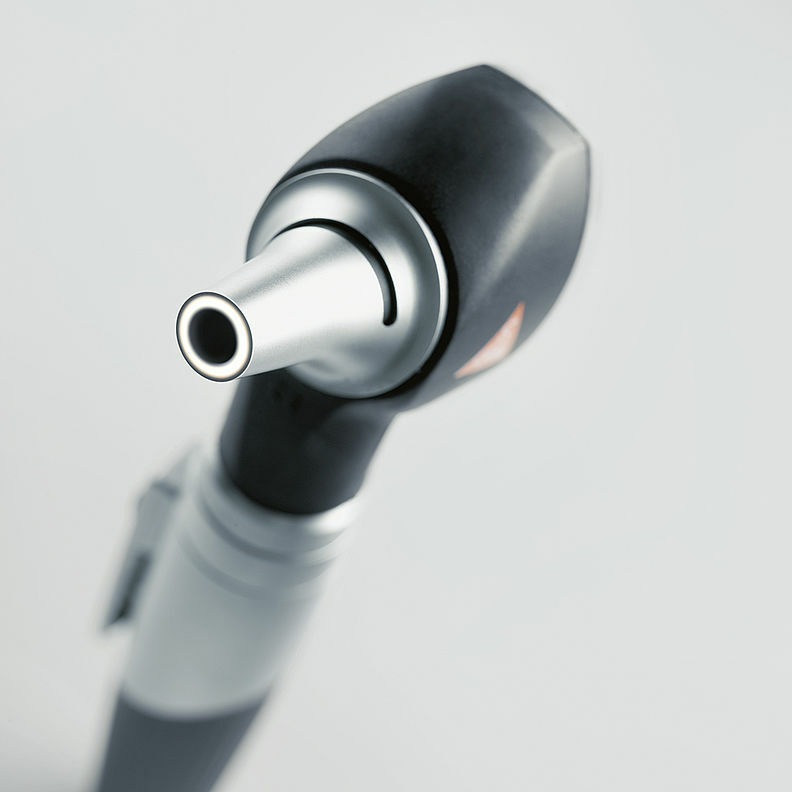 Otoscope, with the addition of: Maintenance-free, no need to ever exchange the LED. LED Thermal management for a consistent light output throughout the whole working life. High-performance-LED: bright and absolutely homogeneous illumination with excellent colour rendering – colour temperature 4000 K, colour rendering index > 95, and > 90 rendering index of the colour red. Twice as bright as Xenon Halogen instruments. Exclusive Battery Performance Indicator: When the instrument is switched on, the maximum light intensity is shown, then the light intensity is regulated down to the level that corresponds to the current charge status of the battery so you know when your batteries need changing. Exclusive fade-out function reduces illumination intensity with battery level to let you know when to replace. Operation time up to 10 hours. The batteries need to be changed less often and the rechargeable batteries last longer.